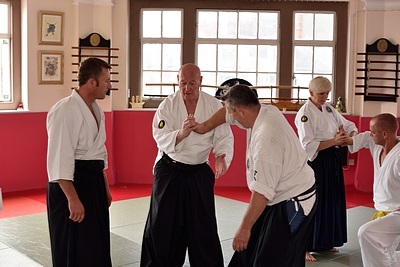 Here’s a few photos from the recent Grimsby Course. 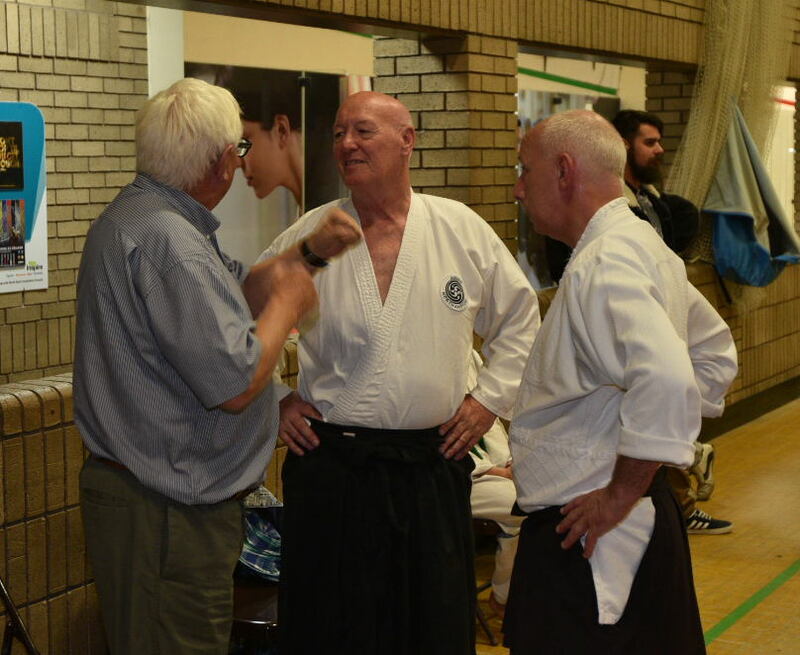 It was a great weekend, great practice, great company, great food and drink – what more can you ask ! Thanks to our friends in Grimsby for hosting once again and thanks everyone that came along. Here’s to more practice and courses in the new year. 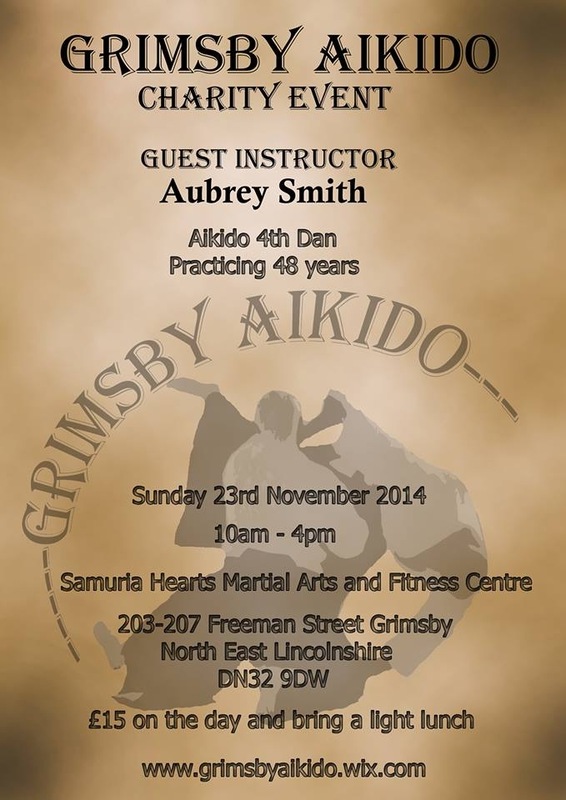 Aubrey Smith will be taking a course in Grimsby on 18th & 19th November (Friday Night and Saturday all day). Please speak with either Steve or Cathy if you are interested, for more details . 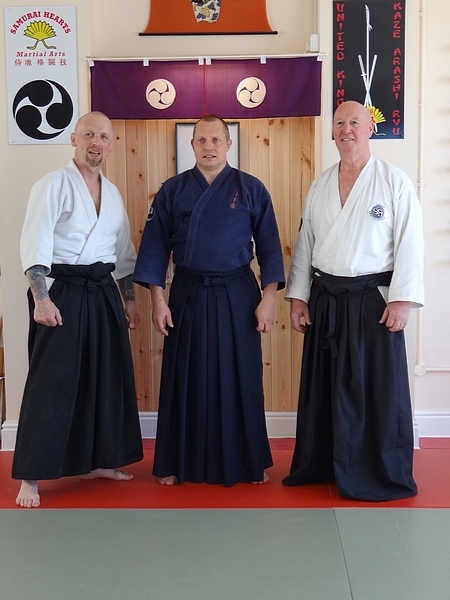 The Saturday session of the June Course in Grimsby was taken by the Aikido Northampton instructors Aubrey, Cathy and Steve. 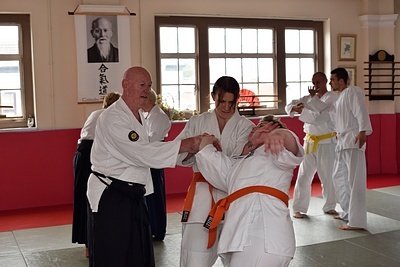 Aubrey was a little “crocked”, but still showed what can be achieved with little or no movement and by purely manipulating Uke into position. 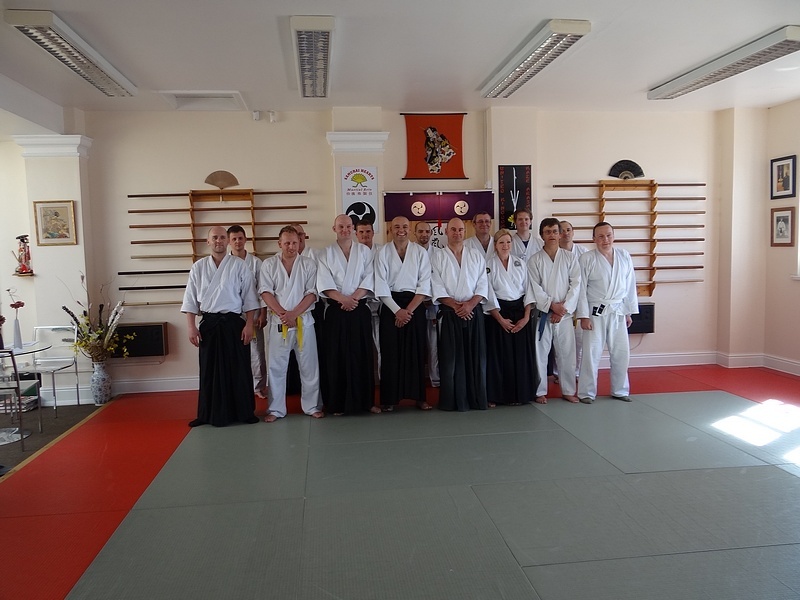 Here is the first of two updates on the Aikido course in Grimsby a few weeks ago. 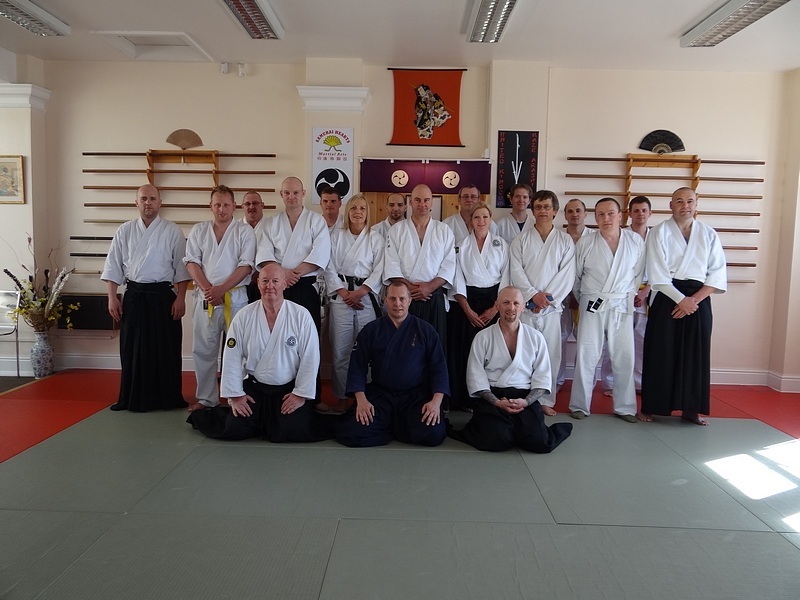 For all those that couldn’t make it, it really was a great course and even though we from Aikido Northampton did not stop for the Sunday session, we thoroughly enjoyed it, both on and off the mat ! There is a course in Grimsby on the above dates which will, I’m sure, be very worthwhile attending if possible. The Friday night session (not shown on the poster) will be at the Sports and Leisure centre Cleethorpes and will be ran by Mike Jennings. The Saturday and Sunday are are a different venue with many different instructors – please see the poster for more details. Any questions – just speak to Steve, Cathy or Joe. You obviously don’t have to attend all sessions, hope to see you there. 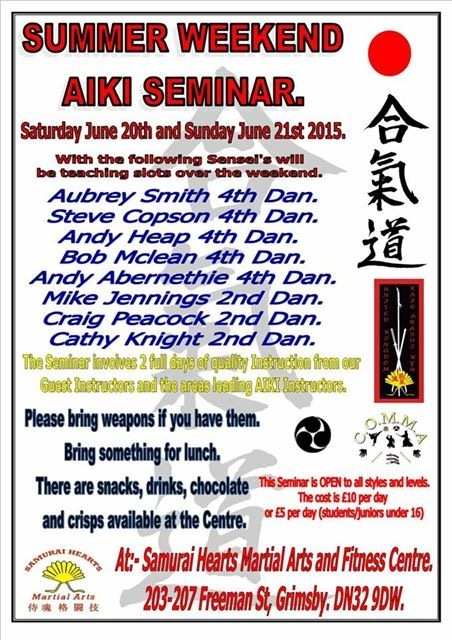 Please see the poster for details & discuss with any instructor for further information / travel arrangements etc. I’m sure it will be a great day and will benefit everyone, we hope you can make it.